Big washable pony with colorful hairs comes with removable clothing. Color it today, wash it tonight, and color it again tomorrow. Match your outfit, your pajamas or even your mood. 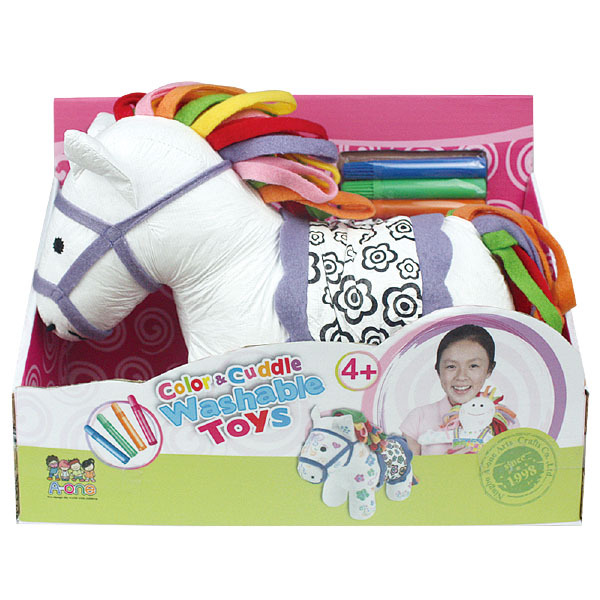 Includes color and cuddle pony with washable clothes and 4 colorful markers.